What is meant by Constructivism? In short, Constructivism was a particularly austere from of abstract art that emerged in Russia in around 1913 with Vladimir Tatlin (1885-1953) and Alexander Rodchenko (1891-1956). Other notable proponents of the movement included Nuam Gabo (1890-1977), Antoine Pevsner (1886-1962) and El Lissitzky (1890-1941). As supporters of the political ideologies propagated by Russian revolutionaries, Constructivists imagined art as an active agent in the Socialist cause. Art should reflect the modern industrial world, and, above all, be accessible to the masses. Members of the group strived to make art that was relevant in a rapidly changing world, that was free from academic tradition, and devoid of any emotive or subjective properties. Constructivists considered their art a product of an industrial order, rather than a unique commodity, and a precursor to the factory-produced mass-made object. They often explored collective ways of working, and regarded the object-maker as a builder or engineer rather than as an individual artist. What are the key styles and materials? Broadly speaking, the Constructivists aimed to bring art back to its material foundations by focusing on the construction rather than on the conception of objects. Constructivists often made work from modest, raw or industrial materials, such as wood, iron, glass and steel. Many of their works, both two-dimensional and three-dimensional in form, are characterised by their austere, angular geometric shapes. So how did Constructivism influence early modern art movements? Although Constructivism was suppressed in Russia by the 1920s, core members of the group continued to spread its ideas across Europe and the Americas. Constructivism influenced many contemporary and subsequent modern art movements, including Bauhaus in Germany, De Stijl in Holland and the post-war Zero collectives that sprang up across Europe in the 1950s and 60s. From its founding in Weimar in 1919 by Walter Gropius to its subsequent closure in Dessau in 1933, the Bauhaus — a German school offering classes in performing arts, design, fine art and applied arts — was known for its progressive teachings, disregard for traditional art hierarchies and radical vision that design and production should be united. Notable teachers at the Bauhaus included friends Paul Klee (1879-1940) and Russian-born Wassily Kandinsky (1866-1944). Kandinsky, who had settled in Munich in 1896, returned to Russia after the end of the First World War, where he encountered the ideologies and work of the Constructivists. On returning to Germany in 1922 to take up a post at the Bauhaus, Kandinsky began to move away from representation to experiment with geometric forms of abstraction — circles, triangles, lines and colour dominate his works from this period. De Stijl, or The Style, was a Dutch movement founded in 1917 by Dutch architect, designer, writer and painter Theo van Doesburg. Practitioners of De Stijl — including Gerrit Rietveld and Vilmos Huszar — were greatly influenced by architecture and urban planning, and saw their stark forms of right angles and crossed lines, magnified by bold colour, as a response to the geometric abstraction championed by early 20th-century artists. The movement gained and maintained influence through the initially scandalous exhibitions of its most famous practitioner, Piet Mondrian, as well as the ambassadorial work of Van Doesburg, who brought his concepts to the Bauhaus in the early 1920s. How did Constructivism evolve after the Second World War? The post-war Constructivists followed in the footsteps of Theo van Doesburg’s 1930 manifesto for Concrete Art, which called for an adherence to rational aesthetics. This generation of Constructivists reacted strongly to the then-dominant position of the CoBrA group formed in 1948, whose work was highly emotional, colourful and expressive. As a collective, they embraced a simple chromatic palette, geometric abstraction and, like their early 20th-century Constructivist predecessors, regarded art as the objective product of its material constituent parts. The Zero Group was formed in Düsseldorf in 1957 by Heinz Mack and Otto Piene. This loose collective of international artists, which exhibited alongside notable names including Yves Klein, Lucio Fontana and Jean Ting, made art that called for simple forms, colours and everyday materials. Many Zero artists made kinetic art using light, space and motion to engage alternative modes of perception. The Dutch Nul artists, who included Armando, herman de vries, Jan Schoonhoven, Jan Henderikse and Henk Peeters, found much in common with the Düsseldorf-based Zero group. Like their German counterparts, they sought to infuse painted surfaces with a sense of light and movement. Many works by Zero artists are characterised by a monochromatic palette, repetition, seriality and grid-like shapes. This collective, which included artists Jeffrey Steele and Malcolm Hughes, aspired to find order within chaos, by denoting probable patterns within certain painterly and sculptural arrangements. Galerie Swart in Amsterdam hosted an exhibition of works by System Group artists in 1973 to considerable acclaim. The Amsterdam-based Galerie Swart, founded in 1964 by Riekje Swart, played an important role in the contemporary commercial success of many Dutch Constructivists and Geometric artists in the 1960s and ’70s. Schoonhoven embraced a more human form of Constructivism, while Struycken, who embodied the material future of Constructivism, incorporated new technologies in his computer-generated artworks of the 1960s to experiment with colour variations and movements. His spatial, light and sound designs walk a fine line between non-figurative art and decorative art. Many of the Dutch Constructivists of the period shared a similar vision to that held by contemporary minimal and abstract artists working across Europe and the Americas. International Constructivist practitioners include Bridget Riley, François Morellet in France, Carl Andre, Agnes Martin and Sol LeWitt in America. ‘They all shared an understanding that the visual elements of the work, such as line, plane, form and colour, presented their own forces of expression,’ says Homan van der Heide. Absolutely. Constructivism has influenced many contemporary artists making art with computer programmes, with a lot of today’s abstract art having roots in the Constructivist movement of the 1970s. What is the current market like for Constructivist-inspired art? Where can prospective new collectors learn more? Post-War Constructivist artists such as Peter Struycken and Ad Dekkers are represented in many German and Dutch museum collections, including the Museum Boijmans van Beuningen, as well as in international collections including Tate Modern in London and the MoMa in New York. 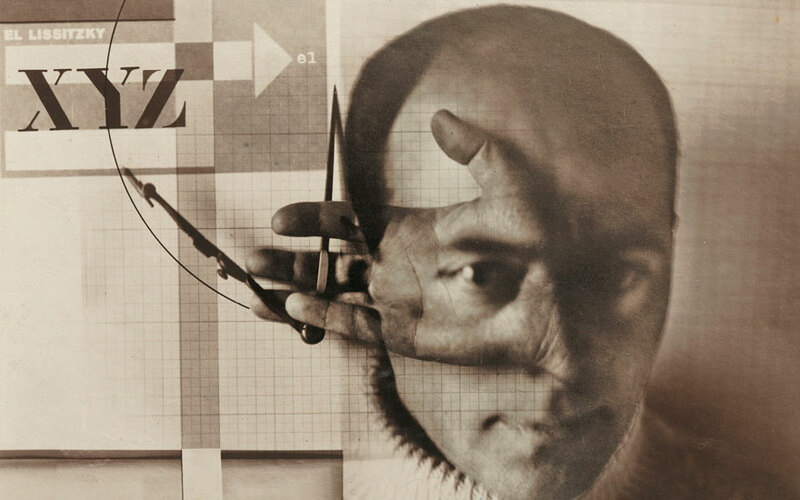 In addition to these permanent collections, recent exhibitions exploring the realm of Constructivist-inspired art, including Rodchenko & Popova: Defining Constructivism held at Tate Modern in 2009, and Zero: Countdown to Tomorrow at the Guggenheim Museum in New York in 2015, have re-awakened interest in the movement. The Mayor Gallery in London represents a breadth of Constructivist-inspired artists, and is currently presenting a show of leading Op artist, Julian Stańczak, while Denise René gallery in Paris and Borzo Gallery in Amsterdam are leading lights in the field.